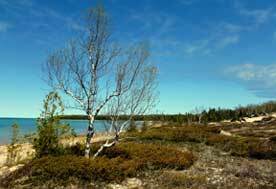 We are a non-profit dedicated to the support of Thompson's Harbor State Park, off US 23 between Alpena and Rogers City. Being on the Sunrise Side of Michigan and with stupendous views of Lake Huron, well maintained trails, and miles of shore and dunes, our park is a quiet jewel on the Great Lakes. park staff in promotion, infrastructure improvements, interpretation, and resource preservation. Working closely with the professional staff of the park, we hope to improve and preserve the park’s infrastructure while raising awareness of the unique reasons why Thompson’s Harbor State Park was originally preserved, including recreational, natural, cultural, and educational activities. 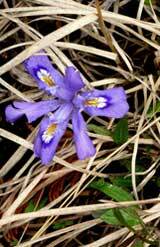 Thompson's Harbor is home to Michigan’s State Wildﬂower, the Dwarf Lake Iris, which is currently designated as a vulnerable threatened species under state law. Please appreciate this wonderful bloom, but try not to disturb them along the trails. Friends of Thompsons Harbor wins award! Tax Deductable Donations can now be made via PayPal using any credit card!